Like many individuals, I constantly struggle finding a pair of shoes that caters to my arches, provides ample support, and is resistant to cases of elements and the test of time. Each of these three qualities is a minimal requirement when it comes to finding the correct footwear. If the conditions of these requirements are met, the price becomes less of a factor. That is when I discovered the Hoka One One brand. Their footwear model takes a wholistic approach at issues people face with their feet day in and day out. Their materials helped revolutionize the way I have viewed footwear and their continuous developments leave me with positive outlooks for future pairs. This model expands their product line and helps bring new features for the consumer to enjoy. As with any shoe product, there are different target audiences for prescribing the right fit. 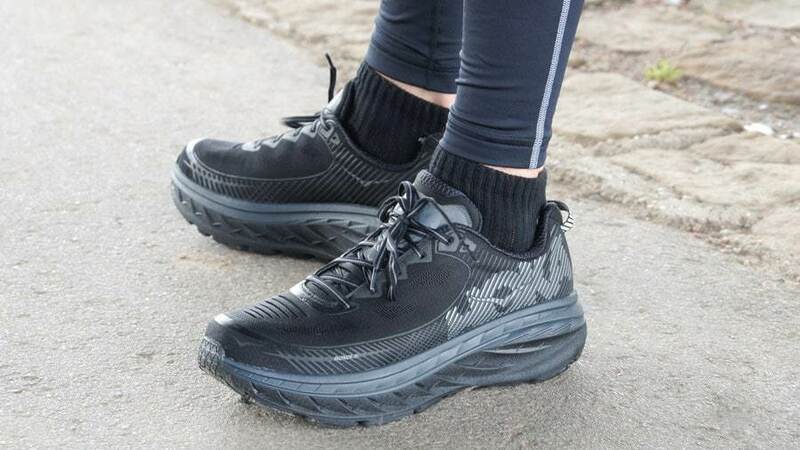 The Hoka Bondi 5 shoes work primarily in the running category, but they also include support elements that target extensive usage. 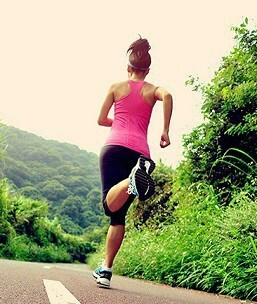 They work as both a running companion and can provide the elements of support you need to wear throughout the work day. If you seek a low-profile, lightweight option, you are best to look elsewhere. The main function of the shoe is to increase the supportive measures and help better your posture. The casual runner or everyday user will find this model to suit their needs the best. Price point is a second element that often deters interest in this brand. The general makeup calls for an increased use of production materials, elements of reinforcement, and other such calls for finer detailing. You get what you are paying for with these shoes. The Hoka Bondi 5 is the fifth installment in the Hoka road-driven footwear line. 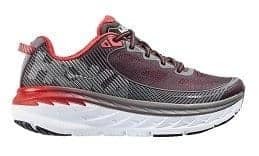 This shoe features the most cushion ever introduced in a Hoka product, making it strengthened and reinforced for protection against the elements and stability means for running and long-standing success. This shoe also produces a larger toe box, which is important for those dealing with foot and toe issues. The toe box was an important upgrade from previous Bondi models, providing the user with additional means for comfort and hosting this brand with an ailment such as plantar fasciitis or another toe injury. Due to the increased amount of material usage, this company can work to make claims of better protection and sustained support. These claims are backed by the materials at-use. Memory foams, rubberized elements, synthetic and textile materials combine to produce the Bondi 5 models. The thickest undercarriage is also featured on this fifth model installment, providing the most cushioning upon push-off and landing when walking, running, or moving. One thing all Hoka shoes feature is a reinforced undercarriage. This company does a great job at infusing different sources of materials and patterns in construction to introduce new means of stability. This model utilizes rubberized materials and memory foam infusions. The thickest portion of the shoe undercarriage is made of a memory foam and rubber mix. This portion encompasses nearly half of the shoe, focusing the attention directly on stability and comfort means with these models. Directly above this portion is a thin layer of rubberized materials. This layer is located directly below the foot bed and introduces a thin layer of extended heel support and coverage with the insole. The bottom of the shoe is attached to the thick portion of materials. This sense of separation allows the user to separate comfort and grip technology. Shoe models and companies that combine these two forces are compensating for one or the other benefits, which reduces the overall success of the shoe. This sense of separation allows the user to notice the difference in both the gripping technology and the ability to host comfortability throughout the day. One of the latest addition to the Bondi line is the introduction of grippers and expansions on the bottom of the shoe. The traction means are often ignored, leaving the primary focus on comfort, cushion, and stability. When going through different shoe reviews, users will find that trail runners are often favored for daily wear. These types of shoes provide additional support, stronger material construction, and the means one would need to stand on their feet for a majority of their day. This called for a plan of action with the Bondi 5 shoes. These shoes help introduce a bottom surfacing that encompasses many different structures for success. The first portion one will notice is the wishbone feature. This is a common pattern located on the bottoms of most running shoes. This helps with even weight distributions and balance measures. The next inclusion is the use of studded, rounded beads. These beads extended slightly from their position and are patched in different locations on the bottom of the shoe. This helps with both shock absorption and landing/push-off support. While there are other shapes and patterns introduced, it all works towards the factors already mentioned. The last piece that should be addressed is the spacing and allocation of these means. These items are pieced out and spaced accordingly. One will find closer spacing and an increased number of shapes and patterns in the front of the shoe. This is an important feature, due to the back of the foot being used more often. The front needs to host a diverse pattern to help keep the gripping elements stable and working. The back portion of the shoe is reinforced and built-up for landing, push-off, and additional cushioning. Therefore, it is less focused on the pattern and elements of grip. The front of the shoe has to keep this material strong and prevalent in order to host success on all surfaces or conditions. 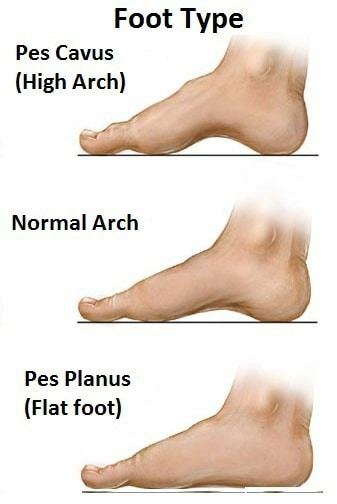 It is no secret that everyone has differing arch types. Sometimes these factors are controllable, other times they are inherited or happen for no apparent reason. Regardless, finding a pair of shoes that can accommodate for different arch types proves to be difficult. The break down from low arches, medium arches, and high arches goes to 20% of individuals, 60% of individuals, and 20% of individuals respectively. While these percentages are merely approximations (Source), it goes to show that there is a broad variety in conditions. The Hoka Bondi 5 shoes accommodate for each arch type through their revolutionary technology. The bottom of the shoe features a slight mid-rise, which accommodates to the flat arch, low arch, or medium arch individual. 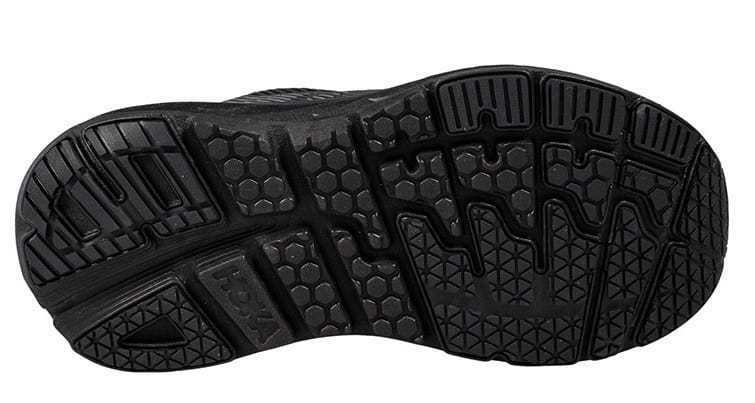 The outsole that builds to a thickness that extends into the insole features a small hump. This hump is pronounced in the insole, which helps grip to the arch, reducing pronation and helping to straighten movements. This is a primary factor of concern for the high arch user. While they can often find footwear that caters to the bottom of their foot, they often lack the respect and consideration for the sides of the foot. This is where the pronation and other such supinations are most prevalent. This shoe does a great job of catering to this area. This feature will not hurt or put the other foot types at a loss due to the form-fitting nature of this inclusion. We scoured through the internet and located a few different informational sources for providing excellent reviews and real customer stories. ​As with all shoe products, there are often comparison models that we can revert to in time of need or when we lack the proper funds. One of the main differences you'll notice in these alternatives is the price point. This is not to say that these shoes are the better option, though. They are merely lower priced due to their material makeup and they do not include the elements that the Bondi 5 running shoes do. ​The most common comparison types for the Bondi 5 shoes are of the trail running descent. The Saucony brand is very similar to the Hoka brand in that they are independent sources that don't have the market means of access that Nike, Adidas, and Under Armour do. This model matches up to the standards of the Bondi 5 shoe, but reduces that material makeup to solely rubberized components and reduces the height of the outsole. The bottom layer features a greater number of grips, which can be expected from a shoe that is catered to the trail running community. They both promote heavy wear due to their unique construction. Price point is far for this model that doesn't hold a competitive branding title. The Adidas trail runners are a close comparison to the Bondi 5 types. This brings a recognizable name to the conversation while keeping the price point in competition with the Bondi 5 models. This shoe utilizes the same rubberized structure, severely limiting the inclusion of memory foam or gel-like means for increased supportive measures. This shoe also has a limited play on the posture piece, with the thickness of the outsole only being produced to about half of the Bondi 5 size. This is still a fair play for extended usage and those looking to find quality brand types on a budget. Arch support and unique features are hard to come by. Finding a pair of shoes that meets these needs seemed like a lost cause before I discovered the Hoka One One brand. More importantly, I was searching for inclusions that most shoes cannot measure up to. They were often too demanding or too obscure. The Hoka Bondi 5 shoes feature all of those inclusions and then some. They measure up in comparison to running boots, which is something that most shoe brands could not say. This helps bode well for the factors being included, also noting that these benefits are few when ranged out to other product lines and shoe models. The inclusions are hard to find, making the price point the least of my worries. These are shoe types that you won't find elsewhere. The unique construction and inclusions make for these models to be on the top of my selection list whenever I am searching for new footwear.